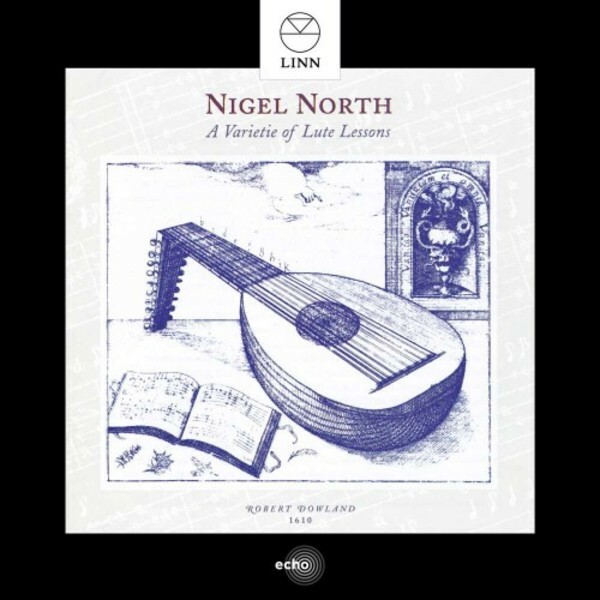 This is a superb collection of early lute music infused with life by the brilliant Nigel North. North’s affection for, and understanding of, this music, which he first played over forty years ago, is palpable. This anthology of forty-two pieces (seven examples of six musical forms popular in 1610) by lutenist-composers from England, France, Italy and the Low Countries demonstrates true variety as each lutenist-composer uses the instrument in such unique personal ways. As the greatest English lutenist of his age, John Dowland contributes nearly half of the programme; North’s specially commissioned 9-course lute ensures the sound world, although less familiar to us, is one which was well appreciated in Dowland’s world. Working from his own new edition, North’s performance corrects several misprints including the first note of the first piece – previously attributed to the wrong string! Originally released in 2000, A Varietie of Lute Lessons, has been reissued as part of Linn’s ECHO series which offers a second chance to enjoy the best of the label’s award-winning catalogue. Renowned as one of the world's most respected lutenists Nigel North has developed a unique musical life embracing work as a teacher, accompanist, soloist, director and writer. With the ensemble Romanesca, North, together with Andrew Manze (violin) and John Toll (harpsichord & organ), performed and recorded 17th century chamber music winning several international awards for their recordings. North has taught at London’s Guildhall School of Music and Drama, Berlin’s Hochschule der Künste, the Royal Conservatory in Den Haag, Netherlands and Indiana University’s Early Music Institute in the US. Taking his place amongst those at the forefront of period performance, North has essentially reinvented lute playing and reintroduced this great instrument to the public once more.